For those who missed the B1F1 from Secret Recipe last month, don’t miss this opportunity ya. Another good thing is, they are owned by Secret Recipe! 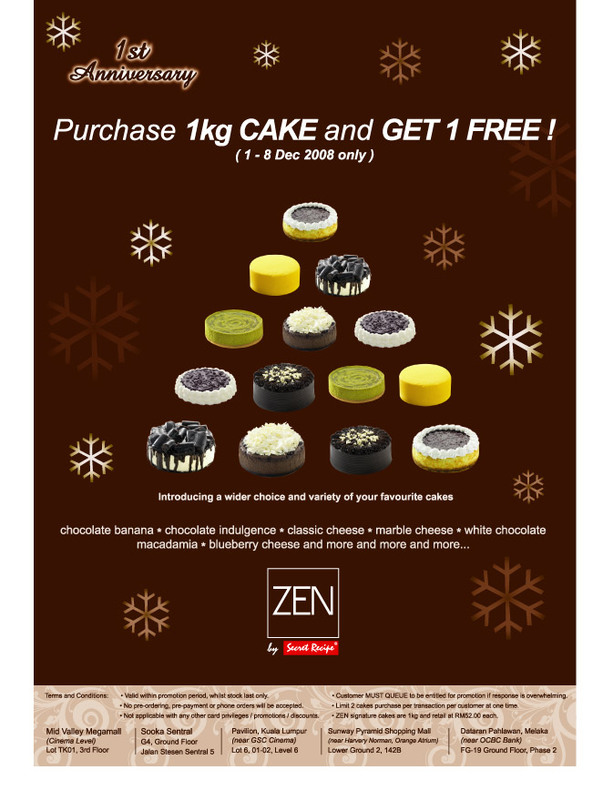 So go grab yourself a kg of cake, starting from 1st Dec (today) until 8th Dec. This entry was posted on Monday, December 1st, 2008 at 4:01 pm	and is filed under Cafes, Food Promo. You can follow any responses to this entry through the RSS 2.0 feed. You can leave a response, or trackback from your own site.